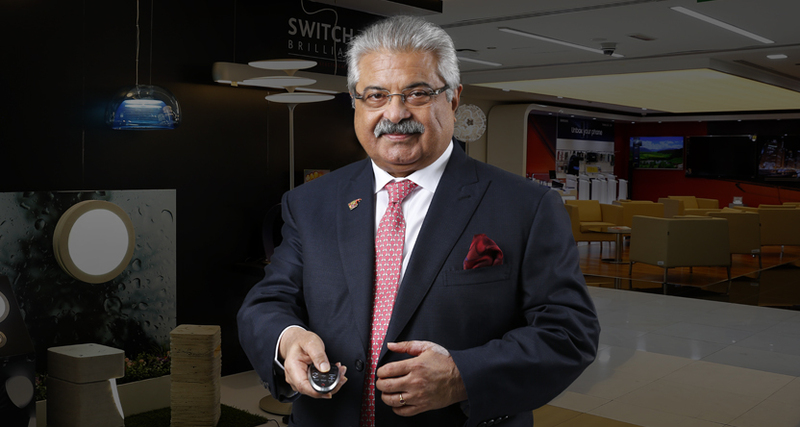 With the 2018 FIFA World Cup set to kick off this summer, Deepak Babani expects his Dubai-based consumer electronics distributor and retailer Eros Group will enjoy a spike in sales for TVs. In the soccer-crazed U.A.E., that’s not a stretch to imagine. “That’s one boost that we will get this year,” says Babani, who serves as the company’s executive vice chairman. It’s one of many boosts Babani is hunting for, with the 67-year-old currently striving to get Eros Group back on track. Three years ago the company was dealt a major setback when it lost exclusive distribution rights in the U.A.E. for Samsung, which began selling to other dealers as well. That wiped out between 20% and 35% of Eros Group’s business. Part of the U.A.E.’s Badri Group of Companies, a family-owned firm in the U.A.E., Eros Group distributes and retails consumer electronics and appliances for brands such as Hitachi, TCL, Linksys and Sonos, in addition to Samsung, across the Middle East and North Africa. Its primary market is the U.A.E., where it has 32 retail stores and six service centers. Despite its large retail presence, roughly 75% of Eros Group’s business comes from distributing products around the region. After serving as CEO since 2002, last year Babani took up his current role, with his deputy Niranjan Gidwani assuming his old post. 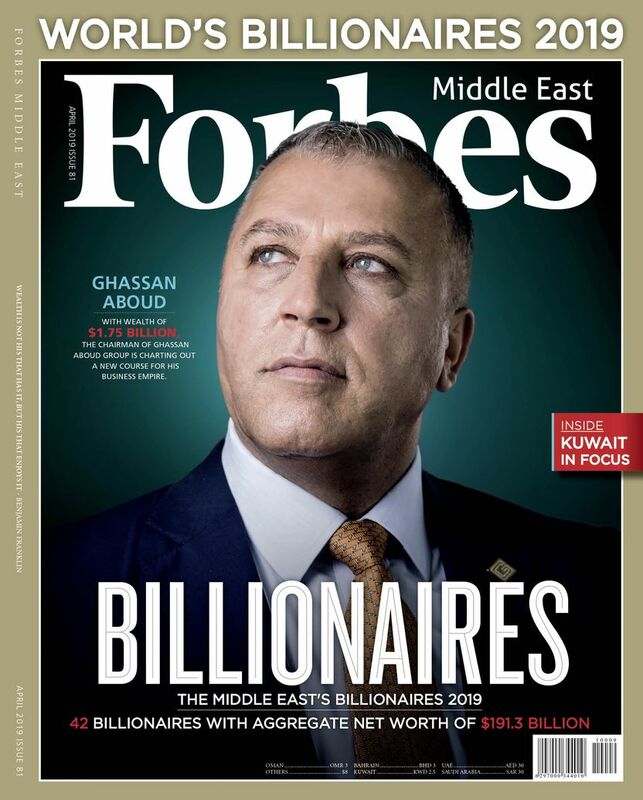 Babani has long been the face of the company, earning him the number 15 spot on Forbes Middle East’s Top 50 Indian Business Executives In The Arab World ranking. 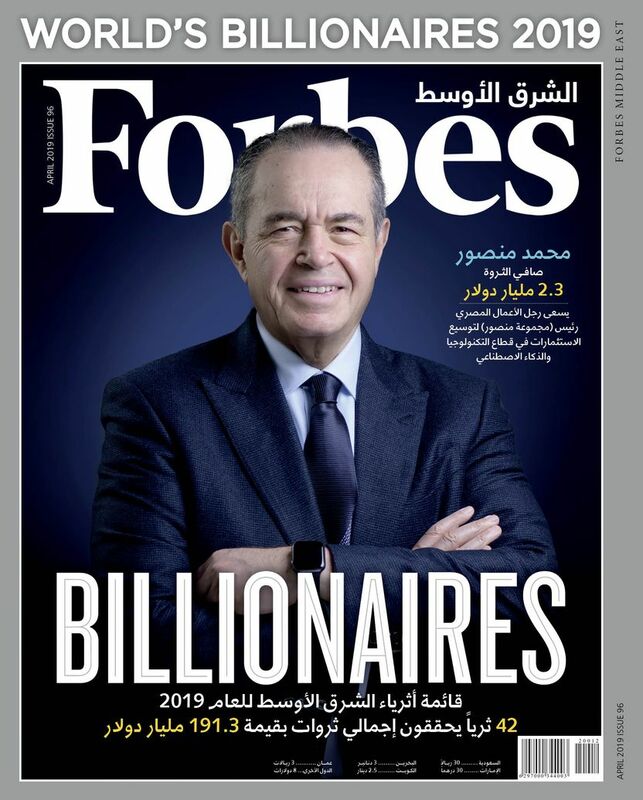 On Babani’s watch, Eros Group became a $1 billion company in 2014, with growth long propelled by its exclusive distribution rights for Samsung, which has a significant market share in the U.A.E. for smartphones. That helped Eros Group amass healthy profits. Losing Samsung has forced Babani to expand into new product lines, add new brands and to develop an e-commerce presence—all efforts to retake ground inch by inch. “My owners were very understanding. It allowed me to maneuver,” says Babani. Babani has added distribution rights for Chinese appliance maker Midea, and started a new division selling LED lighting. He anticipates that new distribution rights for the Japanese air conditioner brand Daikin, added in April 2018, will bring in about $27 million in sales per year. “That is going to propel growth in the next 2 to 3 years,” says Babani. He hopes to add distribution rights to at least one additional brand per year in the near future. Last year, revenues stood at around $800 million, its second consecutive year of registering 5% growth after a large dip in 2015. Eros Group still relies on Samsung products for the majority of its revenues, as well as Hitachi and TCL. “The flag-bearer is Samsung,” says Babani. With online retail becoming more popular in the Middle East, four years ago he took the plunge into e-commerce, launching Erosdigitalhome.ae. So far visitors mainly use the website to look for mobile phones, which accounts for 75% of its online sales. Babani welcomes that traffic, as it gives him an opportunity to market Eros Group’s other products and hopefully entice customers into his stores. He estimates the company’s website will generate between $5 million and $6 million in revenue this year. That’s roughly equal to the sales Eros generates at one of its retail stores across the U.A.E. There are other challenges too. The consumer electronics market in the Gulf has stalled, with consumer spending down thanks to low oil prices and the recent introduction of value-added-tax (VAT) in the U.A.E. and Saudi Arabia. The retail value of sales in the Gulf declined 1.7% last year, and might continue to drop in the first half of 2018, according to Isam Arshad, an analyst with Euromonitor. “Important vendors and distributors are witnessing overstocking of inventories due to the current market scenario which they are unable to sell,” says Arshad. Sales are expected to recover slightly by the end of the year and in 2019, as shock from the VAT wears off. Until then, Babani hopes his efforts will lead to a rebound for Eros Group, which has completed 50 years in this market. Born and raised in Mumbai, Babani was already tinkering with electronics at a young age. He had a knack for repairing radios, and his neighbors would call him if they needed appliances fixed. He went on to study at the Manipal Institute of Technology in India’s state of Karnataka, graduating in 1975 with a degree in electronics and communication engineering. He hunted for employment, and quickly found that India’s job market was saturated with engineers. He ended up joining a six-month trainee program in Mumbai with a company called Murphy Radio, eventually securing a job in its marketing department. There he pushed radios, Hi-Fi systems and oscilloscopes. After two years, he didn’t see much of a future. “A job in Dubai almost fell in my lap,” he says. He came across an advertisement for a walk-in interview at Jumbo Electronics, which represented Sony. He nailed the interview and got a job in sales. Babani helped market Sony’s Betamax cassette players, before they lost to VHS. In 1981, he left Jumbo to become the marketing manager for Eros Group, a much smaller, but fast-growing competitor to Jumbo. Eros Group was founded by brothers Mohammed and Yousuf Badri, who also ran businesses in areas such as real estate, printing and furniture retail as part of their family company. Yousuf Badri, Eros Group’s managing director, hired Babani. He had a hand in almost everything, from handling logistics, to overseeing the service center and helping with HR. “I was a one-man army,” says Babani. In the 1980s the company opened retail outlets in each emirate. It used the stores mainly to promote its products rather than to generate sizable retail sales, as they never undercut the price of dealers. “If somebody wanted to look at the whole range of a particular brand, they would go to the brand showroom,” says Babani. Most of the dealers it distributed to then were small shops in the souqs. However, his main responsibility was promoting Hitachi, which wasn’t well-established in the region then, and faced plenty of competition from Panasonic and Sony. He oversaw the Japanese brand’s videos and televisions, and secured distribution rights for companies such as Lennox air conditioners in 1989. Still, getting new brands required a bit of hand-holding on Babani’s part, as many companies were not familiar with the market. His first order with Lennox was for AED 2 million worth of air conditioners over a six-month period. Previously, the U.S. brand was securing about AED 50,000 worth of orders in the region per year, he says. “They were quite confused,” remembers Babani. When the Gulf war broke out in 1990, the consumer electronics industry in the region braced for a downturn. Babani remembers many retailers stopped ordering products, due to the conflict, raising the prospect of a shortage in consumer electronics. Yet, Eros continued scheduling shipments—but through the Port of Fujairah, on the east coast of the U.A.E., rather than Dubai. That meant ships didn’t have to sail through the Strait of Hormuz, thereby avoiding any entanglement with the conflict. Eros brought the products overland to Dubai. Soon demand rose. “Sales were very, very brisk,” says Babani. The war brought an influx of Kuwaitis to Dubai, as well as soldiers from Europe and the U.S. They all proved to be eager customers, and in those months, Eros achieved the highest net margins in company history. “What was supposed to be a downfall in business turned out to be a very successful period for us,” says Babani. Eros looked to get into the mobile business by 1995. It bet wrongly that Hitachi would be a player in the nascent mobile industry, but instead the company dropped out of the race. “We were left a little behind in finding a company who could do mobile,” says Babani. In 1996, Babani obtained exclusive distribution rights for several Samsung products in the U.A.E., including fax machines. Two years later, he got exclusive rights to Samsung’s mobile phones. The Korean firm wasn’t a big player in the mobile industry at the time; Nokia was. It was the beginnings of a breakthrough for Eros Group, which then had annual revenues of nearly $140 million (at the current exchange rate). The company pushed Samsung products aggressively. It did promotional events, set up stands in malls and arranged dealer displays. The company was then pushing further into retail, as shopping malls became more popular in the U.A.E. It started attempting to break even with its retail stores. By the early 2000s Eros managed to claw out a 20% share of the U.A.E.’s mobile market on the back of Samsung. Sales for Eros Group took off when Samsung introduced its flagship Galaxy smartphone series in 2009. That helped turn Eros Group into a $1 billion company. A good portion of that is now gone and won’t be easily replaced. “We wanted to keep our bottom line positive, no matter what,” says Babani.